Confirm your details below for your FREE The Importance Of Marketing In Business Guide. You can access your Free guide immediately from your computermobile phone. Just confirm your details below for immediate access. Cardell Media has been providing leading edge information to business owners and start ups in the UK and across the world for 20 years. Confirm your details above and your Free guide will be sent to you immediately. 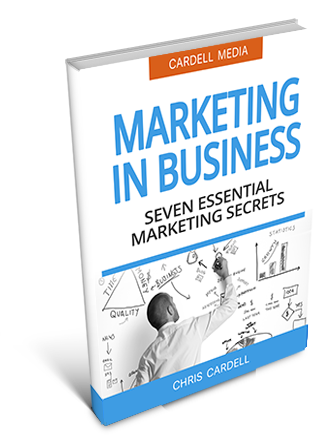 This Free Guide is being offered to business owners to introduce you to the work of Chris Cardell – renowned for helping business owners across the world – and to give you the essential information you need for a successful The Importance Of Marketing In Business Campaign. You can access your Free guide immediately from your computer or mobile phone. Just confirm your details on this page. Copyright 2017 | Cardell Media Ltd.